Nothing smells as sweet as a Lush store, and Kuala Lumpur is now lucky to have one of our own. 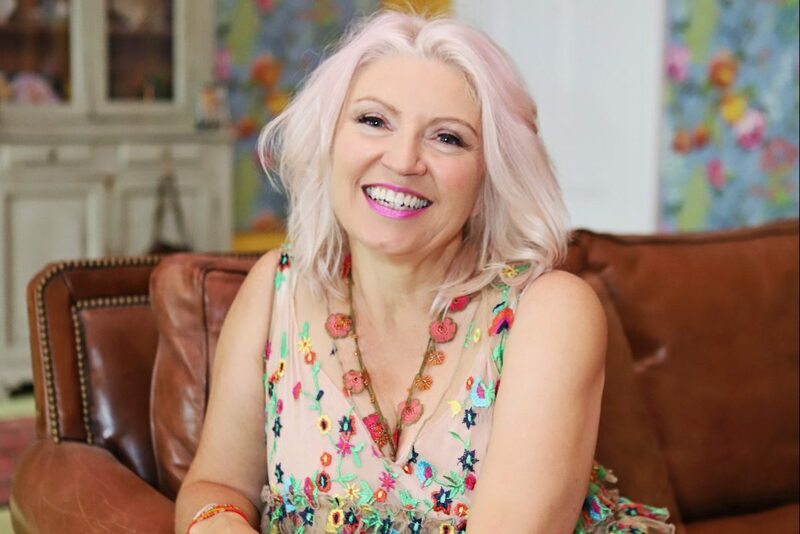 While we know Lush for its colourful bath bombs and buttery creams, there’s so much more to the UK-born brand that we learnt from one of the co-founders, Rowena Bird. Prestige was recently in Avillion Port Dicskon with Lush Malaysia for a beach clean up, which we’re proud to report collected some 180kg of trash. Speaking of, did you know that Malaysia is the 8th worst country worldwide for plastic waste? Here, we talk to Rowena about how Lush is creating a shift in the way we see and use beauty products, and what we can all do to support that. How would you describe yourself as a Lush product? Fresh, invigorating, and slightly abrasive… but good for you. I’d be colourful too, and smell of rose jam. Oh, I’m going to invent something now! Does being more conscious and aware about sustainability impact your daily life? It does make me think twice before doing things, but it doesn’t make my life difficult. I like my life to be as comfortable and easy as possible while living within the confines of making sure that I’m not overly using plastic. Everywhere I go I carry a number of things: a reusable bag which I can fold up and it doesn’t weigh anything, a collapsible coffee cup, and a water bottle. Which is something that if we all do, creates a big clap. If we don’t create a need for things like plastic straws and coffee lids, companies will stop providing them and they won’t end up as garbage in the ocean. What was the idea behind handmade products that makes Lush such a unique brand? We knew at the beginning that if you hand-make a product, you create and follow the perfect recipe. It’s like cooking, you can’t throw everything in and once — we jokingly like to think of ourselves as a five-star restaurant! Then we put stickers on the products of the person who made that particular one, called a compounder. Because the products are made by different compounders, no two products are exactly alike. Some people press harder or they roll them in a different way. Ultrabland is one of my favourite cleansers — it’s this lovely, buttery rich cream. There are several people who make it that when I see their face on the back of the product, I get so excited because I know it’s going to be the richest, smoothest, and creamiest. The Charity Pot is a cult favourite for Lush, and it’s a product with a great cause. Can you tell us more about that? Why I love this product so much is because when someone buys it, they get a lovely hand and body lotion, and all proceeds apart from the sales tax, goes into funding grassroots charities. These are for people who can’t get funding from anywhere else because they’re not big companies, and the funding really helps them make a difference. We can support their passion with our passion and that’s just lovely. What’s the Lush team working on now for 2019? We’ll be launching a new line of makeup with a biodegradable twist, such as packaging made from nuts. With the eyeshadow, you can put it in the compost once it’s finished or bury it in the garden because it’s also nature. And we’re going back to the old fashioned days with push-up lipsticks, but by removing the plastic mechanism inside it and using materials like aluminium and brass, the lipstick containers will be recyclable. The product itself will be sold separately and coated in wax which you’ll need to peel off. We’re making it this way so you can refill your lipstick and give the container another life. What do you hope Lush customers take away from the brand’s environmental ethos? To choose packaging-free products when possible, which we call naked. And if you do buy packaged products, to bring back the the containers to us, or recycle responsibly. What we like to encourage is to have everyone doing little things to achieve to a bigger goal. It’s like being in a room and have everybody clap to make a big sound.